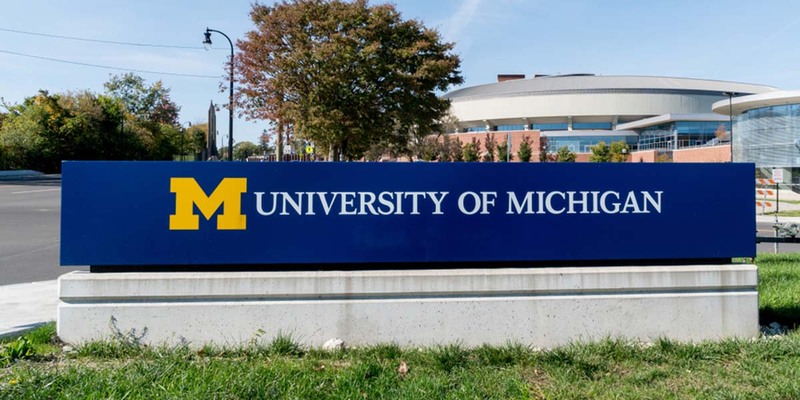 One out of four University of Michigan undergrads now attend the school tuition-free. The portion of U-M’s freshmen class that qualify for federal Pell Grants, given to students from low-income families, inched upward this year, to 17.9 percent, according to enrollment data released by the university Tuesday. That’s just a slight improvement over recent years, when the share of low-income students in incoming classes hovered between 15 percent and 17 percent, but the university sees it as a good first step. In the summer of 2017, U-M announced the Go Blue Guarantee, a commitment to offer free tuition to Michigan students from families earning $65,000 or less. That’s slightly above the median household income in the state, so about half of Michigan households would qualify for the aid. The goal of the policy was to attract more applications from low-income students, who may have assumed U-M was either too costly or not for students from rural or more modest backgrounds when in reality, it is the cheapest public university in the state for poor students. "Through the Go Blue Guarantee and commitment to financial aid, we are sending a message to the people of our state and beyond that we seek to welcome students from all communities and backgrounds who have the talent and desire to be Michigan Wolverines," President Mark Schlissel said in a news release Tuesday. U-M has the smallest proportion of low-income students among the state’s 15 public universities, and a lower rate than some other elite public universities, such as the University of California-Berkeley, where 31 percent of students are Pell-eligible. Indeed, one study last year reported that the median family income of a U-M student was $154,000. But in the first year since implementing the guarantee, U-M saw a 24-percent increase in admissions applications from some of the state's lowest-income students, and a 6-percent increase in freshman enrollment from those with family incomes of $65,000 or less. “The long-range goal is to motivate and challenge students, especially those who see their family income as a barrier to higher education because they now know that a University of Michigan education is within their reach," said Kedra Ishop, U-M vice provost for enrollment management. The overall acceptance rate was 22 percent for the incoming class – 40 percent for in-state students and 19 percent for out-of-state and international students. 1-in-4 Michigan undergrad students from within the state paid no tuition this fall because of university financial aid, including the Go Blue Guarantee. That doesn’t mean all those students attend for free – tuition is only part of the total cost of college, which also includes room and board, books and fees. Students who are the first in their families to attend college make up 14 percent of the incoming freshmen class, up from 11 percent in 2014. Good for them. I wish other colleges would do the same by waiving tuition. One thing that people forget is that these low-income students still have to meet the academic standards for admission - which are highly competitive at the U of M - with a college-prep curriculum heavy on math and science and a minimum GPA as well as 1450 average SAT score. But this program rewards smart kids who come from modest income families. I only wish it had been available when I attended college years ago. This is great news for academically qualified students of lesser means and for the of state of Michigan. It will help grow our economy and improve the retention of talented graduates. ACT scores, extracurricular involvement, and high school GPA are highly correlated with a family's income. It's great that UofM is allowing this but it's not solving the grander issue. I wish UofM could directly partner with the lowest achieving schools in Michigan. I wish UofM could do more. They're being reactive rather than proactive.